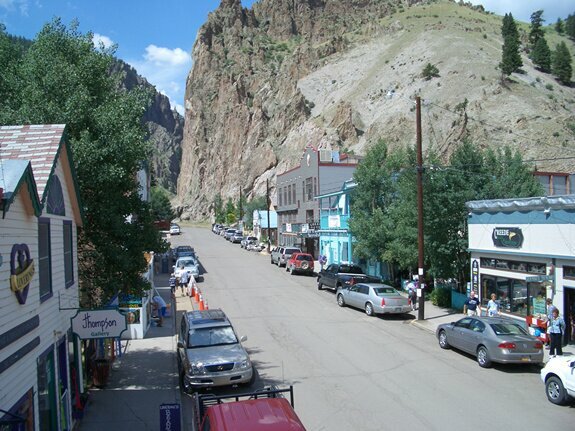 Although Creede is not a ghost town in the traditional sense, it has been close from time to time. 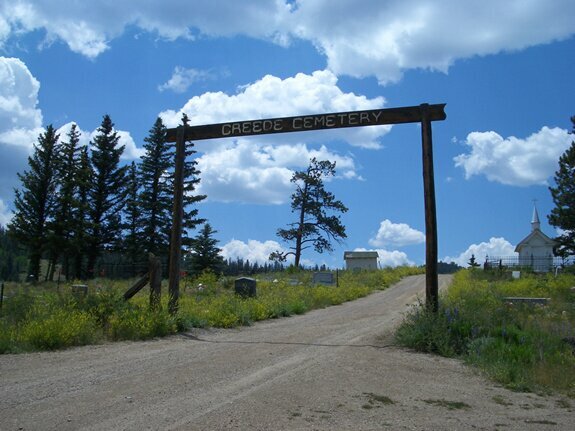 Now it has been rediscovered as a tourist attraction even though no skiing is nearby. 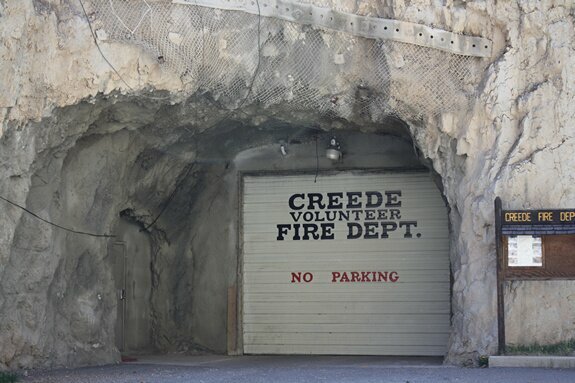 It is unique in that its civic center, fire department, and public offices are located in a tunnel bored into the cliffs. 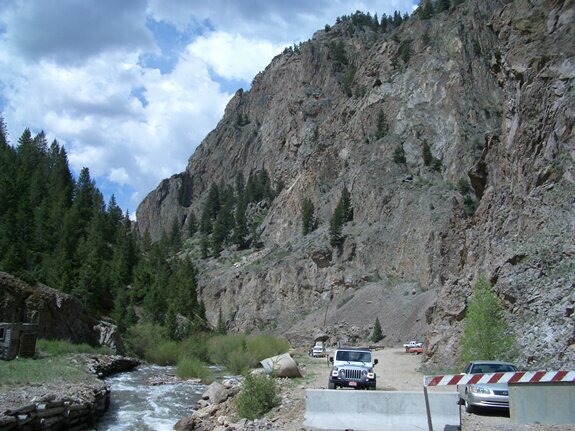 In 1889 Nicholas Creede and George Smith located the "Holy Moses" lode. 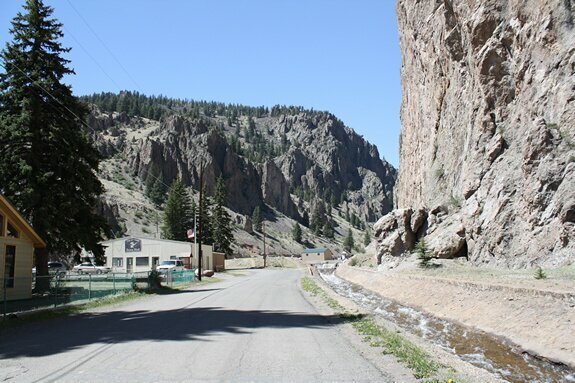 A mining camp formed in the canyon of Willow Creek was named Willow, and then renamed Creede. 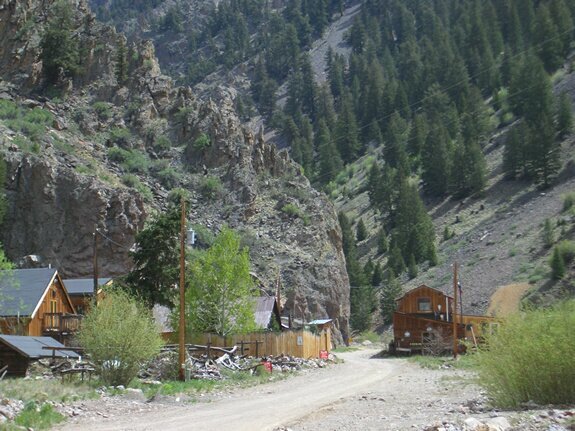 There were several towns in the area, some on Bachelor loop. 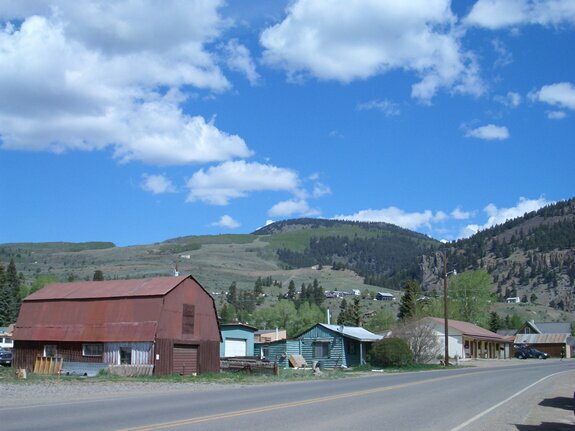 North of Creede, deeper into the canyon yet closer to the mines, the town of North Creede formed. 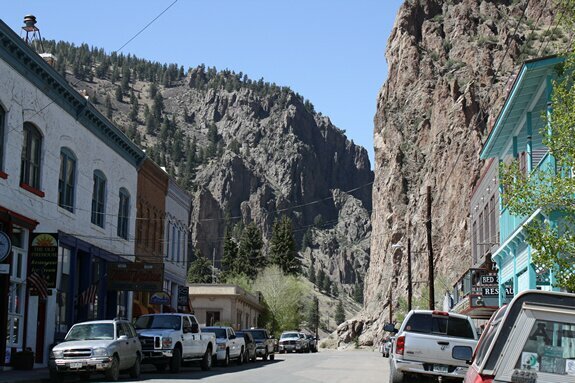 At its peak, Creede had more than 1000 patrons. 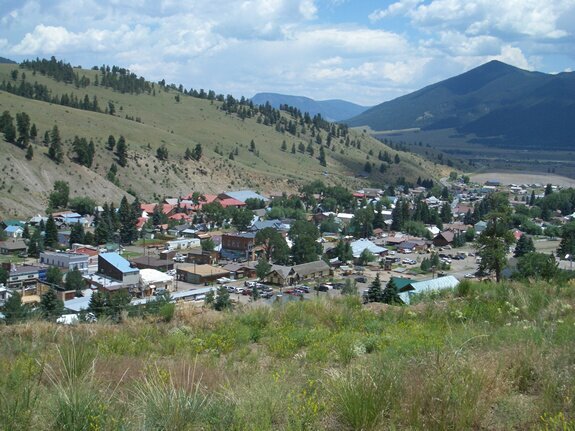 It is the location of the famous "Soapy Smith" (see stories), and the is the resting place of Bob Ford, the man who killed Jesse James. 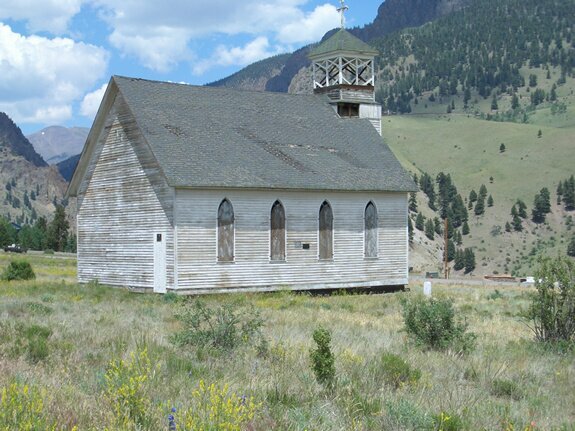 Displaying Creede photography page 1 out of 2. Date Taken: 2005:05:28 23:09:28 Want to use this image? See the More information tab. Date Taken: 2005:05:29 00:12:12 Want to use this image? See the More information tab. Date Taken: 2005:05:29 00:12:44 Want to use this image? See the More information tab. Date Taken: 2007:07:14 13:20:48 Want to use this image? See the More information tab. Date Taken: 2007:07:14 13:21:05 Want to use this image? See the More information tab. Date Taken: 2007:07:14 13:25:16 Want to use this image? See the More information tab. Date Taken: 2007:07:14 14:12:43 Want to use this image? See the More information tab. Date Taken: 2011:06:03 15:12:55 Want to use this image? See the More information tab. Date Taken: 2011:06:03 15:14:50 Want to use this image? See the More information tab. Date Taken: 2011:06:03 15:16:04 Want to use this image? See the More information tab.